Depression, anxiety, PTSD and BPD are my present diagnoses with regards to my mental health. I first became aware of my mental illness at age 32, twelve long years ago. I know I’ve been living with it for most of my life, but I didn’t know I was unwell. My life was chaotic and volatile, but I just believed everyone lived that way. After experiencing a life-changing psychotic break, I began the long and arduous journey to continuously search for hope and peace. Here I am, age 44 and I’m still looking. I’ve done so much work over the last twelve years and believe that the many programs, therapies and support groups I attended expanded my knowledge about myself and my illness and is truly what’s kept me alive for this long. Cognitive behavioural therapy, dialectical behaviour therapy, in-hospital treatment, support groups, individual therapy, and time with my psychiatrist have consumed my life since the breakdown. And with each new endeavour was the hope that this would be the one that would make the feelings of emptiness, loneliness and sadness go away for good. And sometimes, the feelings went away. But they always came back. And each time they return, my carefully reconstructed world starts to fall apart. The steps I’ve made forward start to become the steps that make me falter and go backwards. I feel a sense of helplessness as they overwhelm me with their intensity. And the confusion sets in and my mind starts to slip into despair. I have almost a surreal way of watching what’s happening to me, as if I’m an observer of my life, rather than a participant. I can see myself withdrawing, isolating and becoming the shell of the person I want to be. I’m screaming inside for someone to save me, yet my mind knows that the only one who can save me is myself. And yet, it’s my own mind that is preventing me from doing it. When you have a mental illness, you spend a lot of time in your mind, desperately trying to make sense of what’s happening. For me, it’s frustrating and heartbreaking to make huge strides in my recovery, only to discover that the illness pushes me back. It’s like trying to constantly fight the fierce current in a river, walking upstream. It’s exhausting. Sometimes, it just feels really good to let go of the fight and fall into the current and let myself be swept away, no longer in charge of my destiny, instead leaving it to fate. I’m scared that one day I will choose to not stand up and resume my walk upstream and I’ll be lost forever. That I’ll take too much comfort in letting myself drift aimlessly. And when I find myself thinking this way, I’m overwhelmed with sadness as I imagine my life being this way. I don’t choose to live this way. Nothing would make me happier than to find peace and stability, combined with a passion for life. But for so long, my hopes are raised with each time I move forward in my recovery, only to have them dashed when relapse rears its ugly head. The relapses weaken my resolve to keep going. 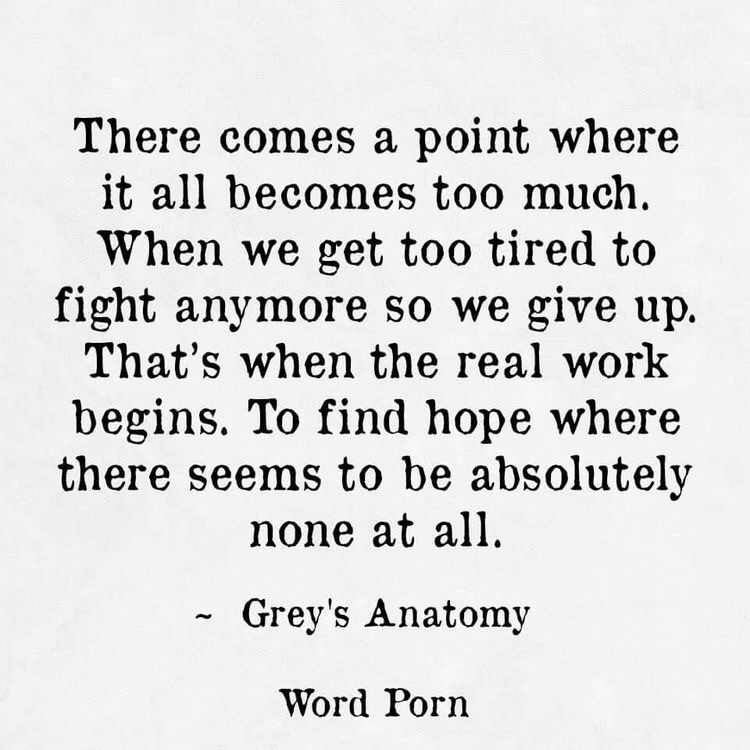 Hope is all that I have left. Hope that I will find the strength to carry on and keep fighting. Hope that one day, something will work on a more permanent basis. And now, the real work begins again. 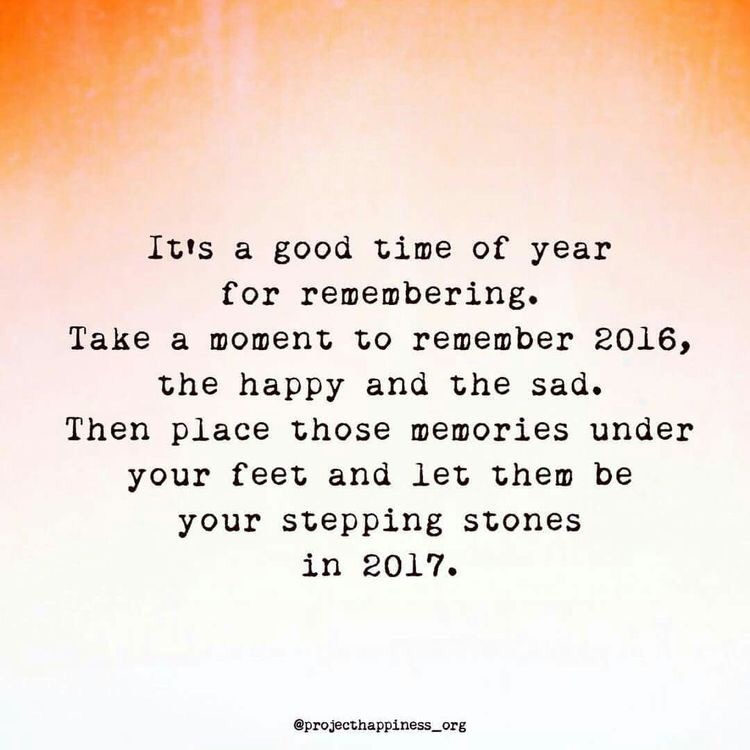 It’s the last day of 2016 and I like to take this day to reflect on all that happened in the year and what lessons I learned. It’s time for me to take stock of where I’m at and where I want to go. I don’t set resolutions as I notoriously don’t live up to them and this only increases feelings of guilt and shame for me, but what I do do, is try to envision a game plan for the year ahead. I imagine where I would like to be mentally, physically, financially, and even spirituallly at this time next year and think about what I need to do to get there. In order to gain strength to do this, I look back to see how far I’ve come. January 2016 was a chaotic time for my family life. There was a lot of disharmony in the home due to dealing with my son’s active drug addiction, my mental illness, my daughter’s struggles for independence, and my husband’s level of stress with work. Things all came to a head at the end of the month when I finally told the children that they would have to find somewhere else to live at the end of February. Things blew up and my children both ended up leaving that night to places unknown, accusing me of “kicking them out” and “abandoning them”. Due to the high emotions and potential for violence, there was police involvement that night as well. It was never the way I had imagined my children moving out from my home to their own independence. I was shattered. For months, I lost contact with my daughter who refused to speak to me. I can’t believe the grief and pain that I felt at not having her in my life. It was like a piece of me was missing. My son, who was still active in his addiction, would contact me on occasion when in distress and many times, I would do my best to help him. I tried getting him into rehab, but an addict has to want recovery. He floated around the streets, feeding his addiction. I eventually had to get a restraining order against him as there were many times he would contact me in a drug fueled rage, and I became fearful of what he might do. I was never as sick to my stomach that year as the day I stood before a judge and told him my story. I felt like I had lost both my children that year. For the first eight months of 2016, I lived in a perpetual state of shock and grief. I honestly don’t recall much of that time, other than that I was lonely and sad. In August, I learned that my son was hospitalized and in danger of losing his arm due to an infection in his bone. I was by his side for most of the month he spent in there, encouraging him to choose recovery and letting him know that I would be there for him if he did. I had also started to see my daughter again and I had hope that this tragedy might bring us closer together. Unfortunately, my son chose to return to his way of life after hospitalization (he was able to keep the arm, although he was at high risk of reinfection when he left the hospital) and once again I had to detach from him and his lifestyle. My daughter and I did continue to get closer as she had started to gain a deeper understanding of why I had to detach from my son – she herself had to do the same thing. In the past, she had repeatedly said I was a horrible parent for not letting him live with me while he was in active addiction and blamed me for him living on the streets. In September, my son made the decision to return to New Brunswick where his father lives. I wish that he and I had a better relationship and I’m hopeful that one day we will. For now, I will continue to love him from a distance. I also began to focus on my own recovery in September. I began an eight week fitness challenge that I thoroughly enjoyed and excelled at. I then began an eight week intensive group therapy program that would sharpen my emotional regulation, distress tolerance, and communication skills. I really benefitted from this group and upon completion, felt like I was closer to my goal of returning to work eventually. At the end of November, I underwent a surgery for a bladder repair that has kept me out of commission for the last 4 weeks. That’s meant a quiet December and New Year’s. I learned a lot this year. That no matter how much you love your children, they need to know you have boundaries. That it’s ok to say no to unjust behaviour. That it’s not only ok, but necessary to put myself first if I’m going to make it. That I don’t need anyone’s approval for my self-worth. That life is about setbacks and steps forward and you just have to learn to love the dance. Where do I want to be next year? I want to continue my mental health advocacy work that fuels my purpose. I want to be working again so my days are filled with meaningful work. I want to be able to pay my bills and have a little left over for fun. I want to be healthier – and only I can change that. I want to continue to inspire others to be the best they can be. I want to be me. Bring it on. 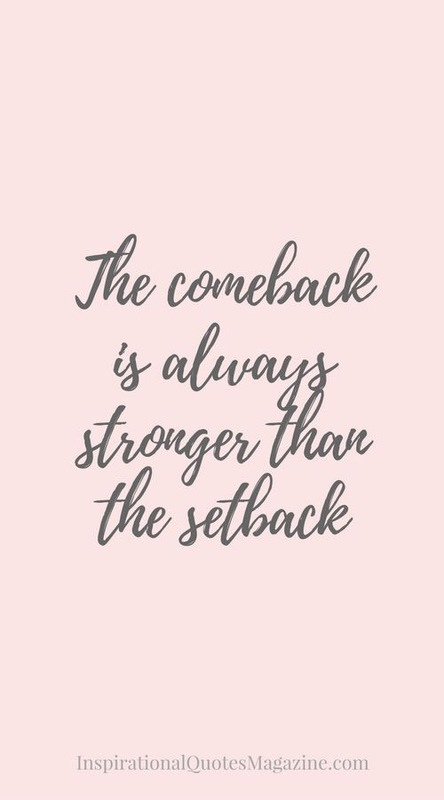 After a setback in November 2015 that landed me in the hospital for a week and saw me once again being unable to work, I’m now preparing myself for another comeback. I’ve spent 2016 working hard to be the best me that I can be, mentally and physically and it’s time to take on the world again. I have to admit that a part of me is scared – what if I fail? But there’s a bigger part of me that says I must try. Managing my illness takes a great deal of energy and resiliency. Depression doesn’t just go away. Mine is resistant to treatment and I never know when an episode will hit me, leaving me with suicidal thoughts and in the deepest pits of despair. It’s not like having “the blues” and you can just snap out of it. It’s a chemical imbalance that I have no control over – all I can do is manage the symptoms and use the skills I’ve learned from years of therapy to not act on my suicidal thoughts. I also have an illness called Borderline Personality Disorder (BPD) which makes regulating emotions difficult. I am impulsive and sensitive and sometimes have difficulties in tolerating distress or stress. With therapy, I have managed to learn skills that help me handle this better and with practice I feel more confident each day managing my BPD. I have managed to stay active with my volunteer work with mental health during my time away from work, which has been beneficial to my feeling like I have a sense of purpose. Even though I couldn’t give as much as I wanted due to my limitations, it did keep my mind busy and give me fulfillment. I plan to stay with them even after returning to work. So here’s to another comeback. Ready to jump in and grab life back. Because for me, life is about always trying to be the best me that I can be. I grew up in an environment where emotions were often invalidated. At least the “negative” ones like fear, sadness and anger. I was often told to “toughen up”, “shut up or I’ll give you something to cry about”, or teased about my fears. Because of this, I felt a great deal of shame when I experienced emotions and this carried over into my adult life. I learned the unhealthy ways of dealing with emotions by stuffing them, or finding ways to not feel them like substance use. And when I did those things, I felt even more shame. It became a vicious cycle of shame and disgust with myself that I felt trapped in. When I first begin to feel an emotion, I first name it. This takes me using the skill of getting in touch with my emotion, even when it feels uncomfortable. By labelling the emotion, I can then look at the reasons I might be feeling that emotion. For example, we often feel angry because something is unfair, or we have been taken advantage of. Or we may feel sad because we have suffered a loss. Our emotions are our body and mind’s way of communicating to us that something has happened to us. Once I have labelled the emotion, I ask myself “Is it reasonable to expect that you would feel this emotion?” And I look for the evidence. If it’s anger that I’m feeling, I look to see if someone or something did do something that was wrong or an injustice to me? Did they do something that was against my values? By asking these questions, I’m VALIDATING my feeling. In doing this, I’m justifying to myself that this feeling is normal and healthy and I deserve to feel this way, despite my inner voice shouting at me to not feel it. The next step involves me assessing how I am going to express that emotion. This has always proven to be a challenge for me, as I was taught to not express what I was really feeling. History had taught me that when I did, people didn’t like me and would punish me. It was during this process that I would remind myself that I have an inherent right to feel and express my emotions. What I have to consider is how much I value the relationship of the person who I feel at conflict with. For example, if I am feeling upset with how I was treated by a store employee, I’m more likely to be able to express my anger in a direct way because I’m not worried if that person is going to like me at the end of the day. But if I’m angry with my husband, I struggle because I’m scared that he will abandon me or not love me anymore. I have to work really hard to come up with a plan to address my anger with him and still maintain our relationship because I place so much value on that relationship. When I am able to express my anger in a healthy way and the person accepts my expression without judgement or laying shame on me, it helps break the cycle for me. I no longer feel ashamed that I feel emotions or for expressing them. 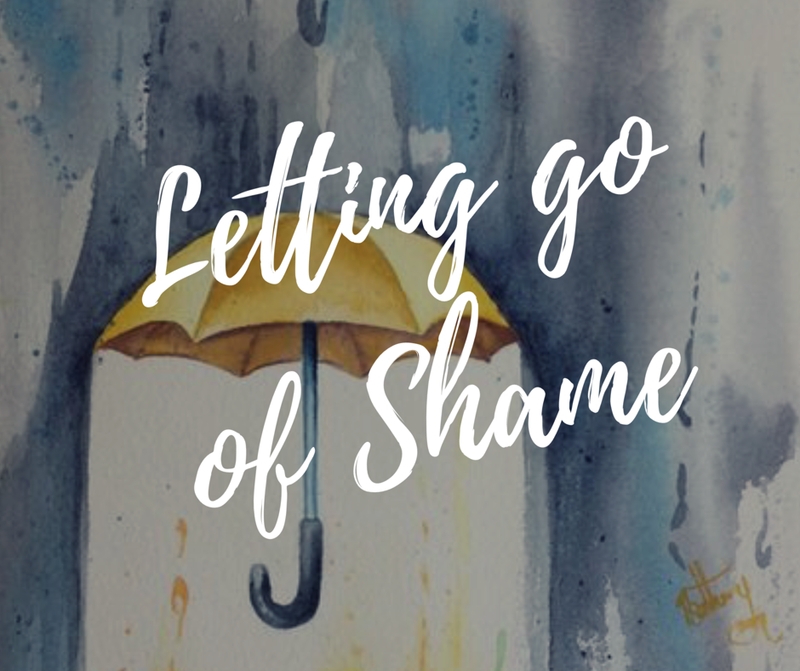 The more I practice this, the more I am able to let go of the shame. I’ve spent the last four weeks attending a pretty intense group therapy program, designed to enhance my emotional regulation skills, distress tolerance strategies and improve my interpersonal relationships and today, in a moment of reflection, I believe it’s been time well invested. I’m seeing a huge improvement in my self-awareness, as mindfulness is a key component of this particular program. I feel so much more in touch with myself and my feelings, and more capable of dealing with the intense emotions that come up. It helps that I’m really throwing myself into the group sessions. Allowing myself to be vulnerable and brutally honest. Practicing the difficult interactions that I struggle with in the “outside world” that create conflict in my life, and accepting the feedback from the other members. And being able to sit through the discomfort and anxiety that this experience invokes. There’s moments when I just want to be invisible, but I remind myself of why I’m there and instead choose to challenge my fears. I am incredibly grateful for the amazing team of psychiatrists, therapists, and fellow group members that are helping to make this such a rewarding experience. Recovery doesn’t happen in isolation. Since September 28 of this year, I’ve been attending a group therapy program every Monday and Wednesday all day to help me better manage my Emotional Regulation Disorder. It’s run by Mental Health therapists and psychiatrists and while the work is challenging, it’s making a difference for me. I’ve had a few “A-ha” moments already and I’m thoroughly taking advantage of having access to the psychiatrists and their insight and wisdom. I’ve asked someone to perform an important task for a project and they didn’t do it. This affects the whole team now and the person doesn’t seem to be bothered by this. I’m angry but instead of expressing my anger, I stuff it inside. Later, I sit with thoughts of “I should have explained to the person more of how important this work was”, or “I should have done the work myself”. I was so afraid of expressing the anger to the person who failed to meet the expectations because I didn’t want them to stop liking me. Instead, I found ways to shame myself for their shortcomings. I see the above example repeated in many areas of my life and am now recognizing that I carry around a lot of shame. Most of it is unjustified, kind of like lugging around someone else’s heavy luggage. Here’s how I could have handled the situation instead, and left myself without their shame. When they failed to meet the expectation, I could have expressed to them that I was disappointed. And let them know the impact this was having on the team. By doing this, I put the responsibility for their actions back on them. I could have asked what they planned to do to rectify the situation and how they would avoid this in the future. An honest conversation could have happened about their ability to meet the needs of the team and the program. I then would not have had to take on the shame of saying “I should have done it myself”, as I could accept that it was the fault of someone else that it didn’t get done. Being able to have these conversations takes courage and skill. This group is teaching us assertive communication skills and how to maintain interpersonal relationships. I’m learning that I need to set boundaries and that in doing that, there will be some people that may not like or respect that, and that’s OK. My self-worth doesn’t depend on someone liking me. That’s huge to get to that point. I always believed that I had to be the “nice” girl and please everyone. That conflict was a thing to be avoided at all costs. But if I’m to have conviction in my beliefs, and someone disagrees with my beliefs, there will be conflict. In order to maintain who I am, I must be prepared to defend my beliefs and boundaries, even if that means conflict with those around me. I grew up believing that nice girls don’t get angry. When I feel anger approaching, I’m uncomfortable and immediately tell myself that I shouldn’t be angry because it’s wrong. But I’m learning that anger is a normal and healthy emotion that is there to tell us when we have been wronged or had an injustice done to us. Once again, when this would happen in the past, I would turn this into blame and shame and tell myself that I deserved the things that happened to me. I must have done something for people to treat me this way. Unraveling these complicated knots of emotions is a challenging task, but with support and hard work I believe I can do it. It’s just another part of the journey to discovering the real me. Remember this bad boy from your days as a child? Holding on for dear life as that one mean kid spun it madly out of control, hoping that a body would come flying off it and land ungraciously in the dirt? It would usually start off innocently enough, but quickly spiral out of control. 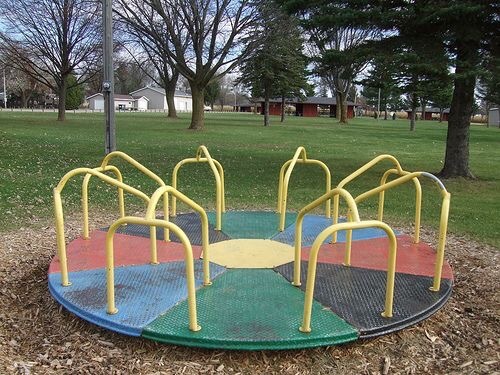 This merry-go-round is like a metaphor for my mental illness. Especially my depression. I’ve stepped back onto this ride, with the recent onset of a deepening depression that past few weeks. I didn’t do it knowingly or willingly, I just ended up there. Depression has a way of just showing up. I’ve been spending a lot of time reflecting on possible triggers for this latest episode, but even that process is becoming difficult as I find myself getting frustrated with not being able to pinpoint “THE CAUSE”. Sometimes, there’s not a cause and other times, there’s multiple causes. The fact is, it’s happening and now, I need to figure out how to survive the ride. The times that the ride is quiet and nobody is there to spin me round, I’ll use this time to show myself compassion and love. I’ll practice self care and be gentle and remind myself of the times I survived the ride before and that I’m strong, and surrounded by people who believe in me. I’ll try to find pleasure in the small things and enjoy the quiet of my solitude. Depression isn’t always about sadness for me. I fight this demon using opposite action so when the ride starts to speed up, I will embrace the adrenalin and use it to motivate me to pursue my passions and push myself to work hard during this time. Just as I need to brace myself to not stumble and fall on the ride, I need to plant my feet in the sand and withstand the blows that depression will lay upon me. The ride will inevitably speed up to the point that I will only be able to just hold on for dear life. This is the scary part. Not knowing, not believing, not caring sometimes. Just begging for it to stop. During this time, I will remind myself that this will end. The ride will stop and I will be ok. I am strong and I am a survivor. Depression might bring me to this point every time, but I always make it off the ride to see another day. This episode will subside and the darkness will fade.